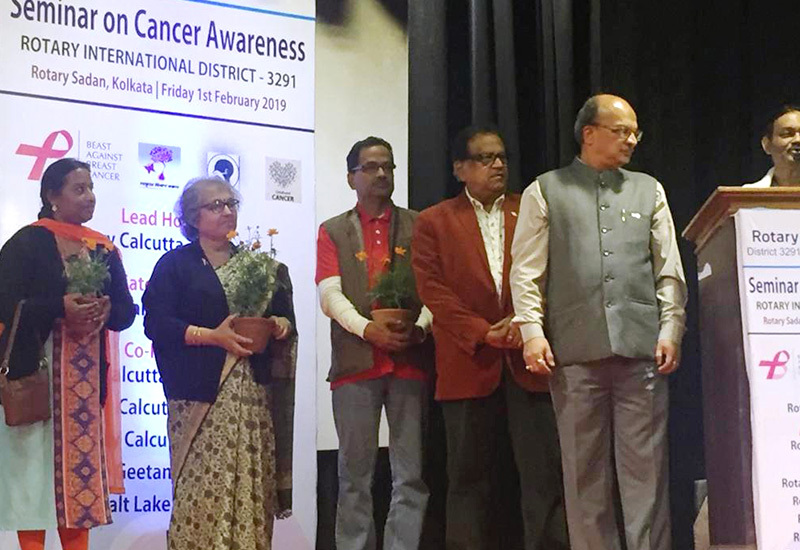 This year different organizations observed World Cancer Day by arranging seminars on various topics related to Cancer to aware people about it. 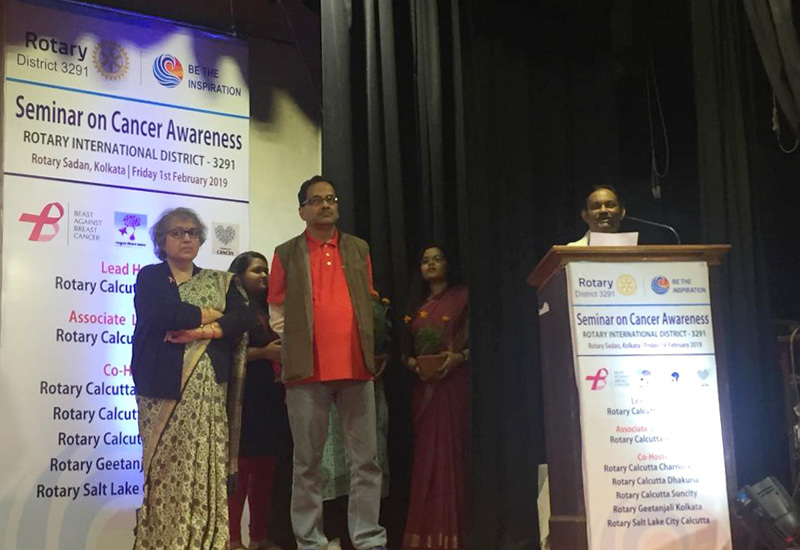 On 1st February, Rotary International District 3291 organized a Seminar on Cancer Awareness at Rotary Sadan, Kolkata, where eminent doctors and Rotarians participated along with the volunteers of Hitaishini. 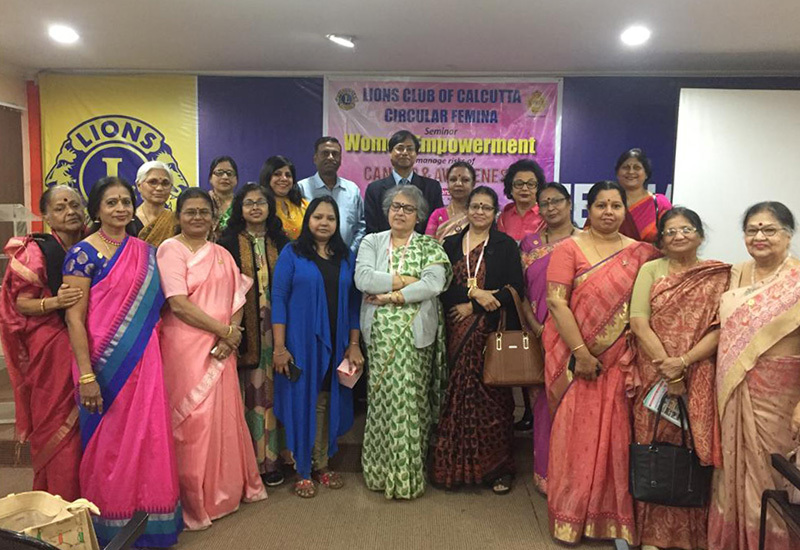 Rotarian Mr. Partha Sarkar was pleased to announce the opening of a children rehabilitation centre very soon at the Institute of Child Health, Park Circus, Kolkata. Smt. 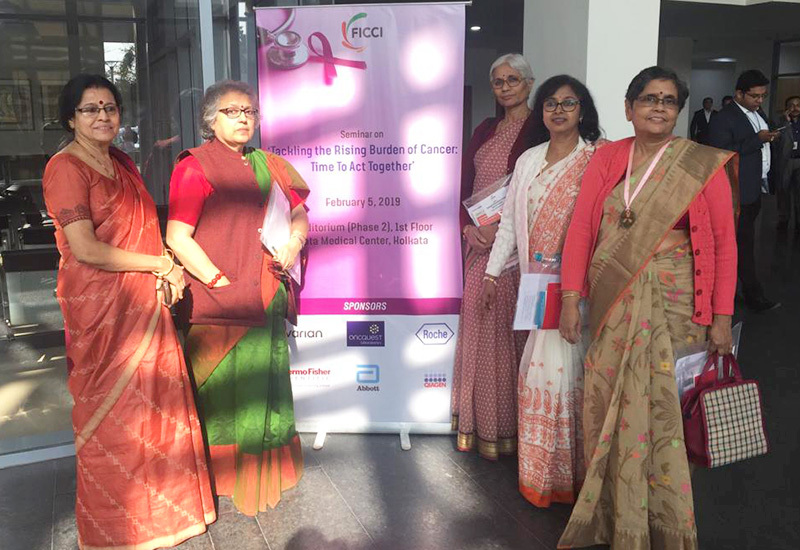 Nupur Chakrabarty, President , Hitaishini was presented with a sapling in appreciation of the services extended by the organization to the breast cancer patients. 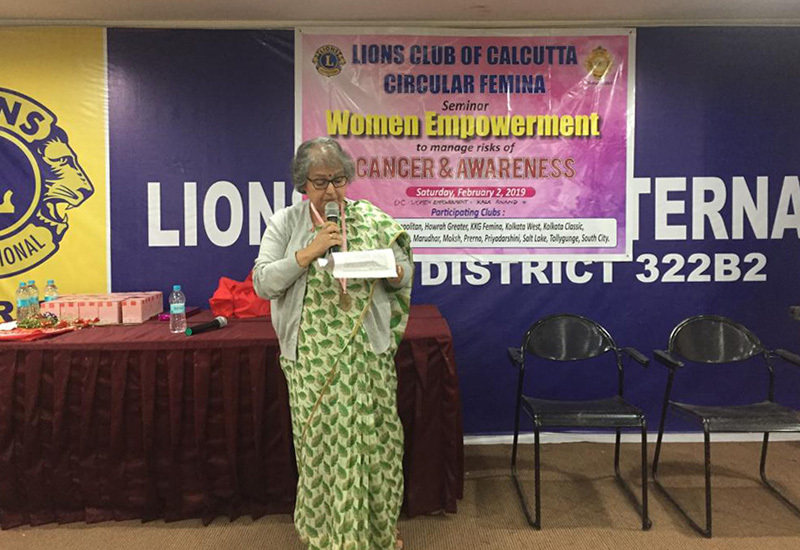 The Lions Club of Calcutta—Circular Femina organized a programme on “Women Empowerment to Manage Risks of Cancer and Awareness” on 2nd February at Deshapriya Park in which Women Empowerment was represented by Team Hitaishini. 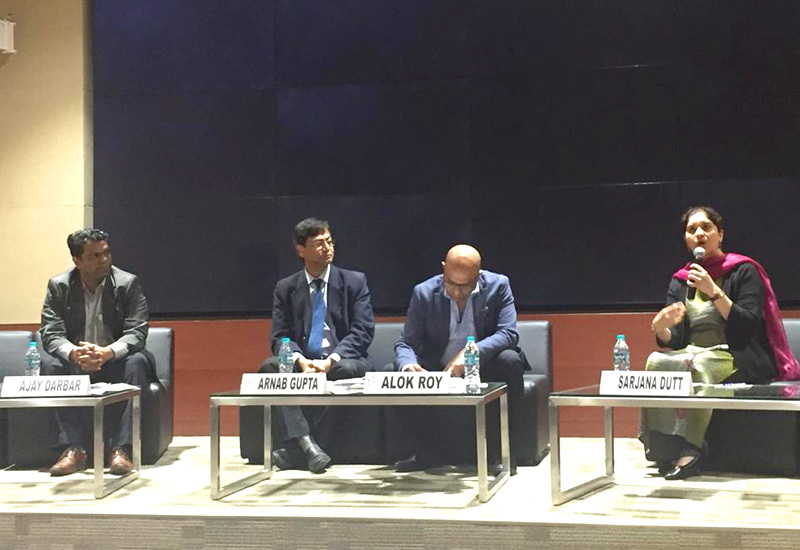 "Tackling the Rising Burden of Cancer: Time to Act Together" was the topic of the seminar organized by FICCI on 5th February, at Tata medical Center, where volunteers of Hitaishini participated and attended all the sessions and panel discussions with keen interest. Copyright © 2018 Hitaishini | All rights reserved.